I'll be at the Boise Comic Arts Festival, Aug 25-26. Stop by and say hi! The Sync application provides the means for users making a presentation (presenters) to display the content of their presentations onto the devices of other users (audience members). Along with displaying content, the application provides the opportunity for audience members to submit questions, make comments and participate in any interactions the presenter chooses to add to their presentation. The application is web-based and is designed to be as responsive as possible to accommodate as many user scenarios/devices as possible. One of the more interesting challenges about Sync is audience member authentication. In the default use scenario, there is a requirement to get audience member users into the application as quickly as possible while still providing account creation/setup functionality. By allowing limited functionality and visibility of a presentation without authentication, we could reduce the steps required to get an audience member into a presentation. 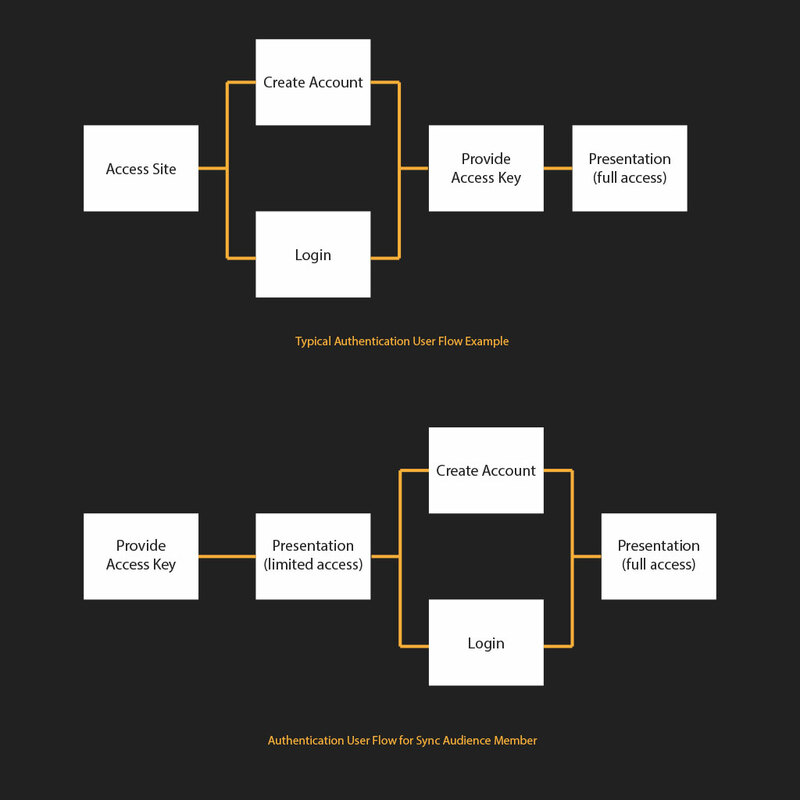 An audience member user can now quickly enter a presentation with only a key (entered through text field or URL) and then trigger account creation by attempting to access specific functionality during the course of the presentation. One of the primary features of Sync is the audience participation interactions. A presenter can add an interaction to an individual slide in a presentation. 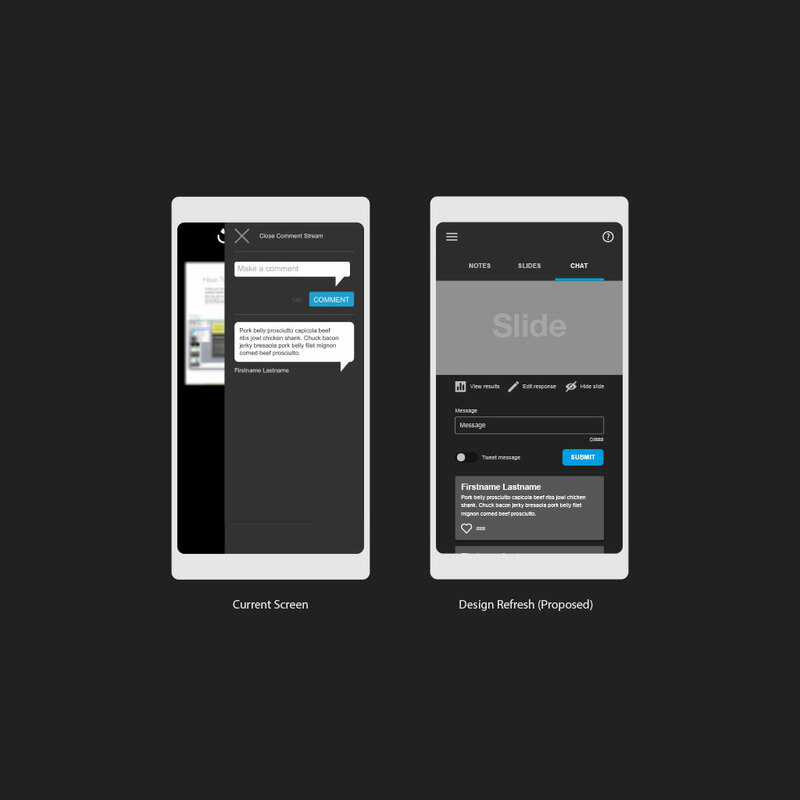 When that slide is displayed on the user's device, an interaction is also displayed encouraging participation. The placement of those interactions on the device has changed over the years as smartphone screens have gotten larger. We are currently placing interactions at the bottom of the view so that they are easy to reach with thumbs. 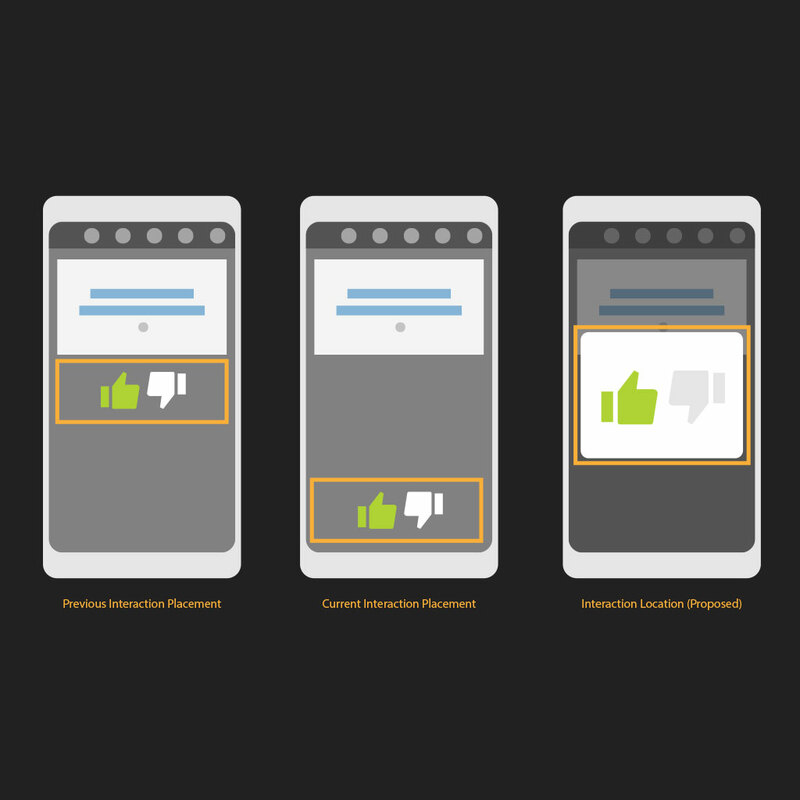 Due to a request for new interaction types and based on user research we are currently looking into moving interactions into a modal. The thought is that a modal is a better delivery method given the typical use scenario. Sync is the first application I ever had the opportunity to work on. The app's transformation over the years is a direct reflection of my experience and knowledge gained in UI and UX design. I made a lot of mistakes. However, I believe that the realizations learned from those mistakes have helped shape my design philosophy and principles. The Quant application provides users with dashboards displaying custom charts and metrics associated with individual events. I was tasked to design Quant after a "beta" version was designed and built by a different team. The beta version had some glaring issues concerning usability and support which became the primary focus of my design efforts. Early on in the design process I addressed concerns regarding the focus of the application. Despite the application's purpose to display dashboards, there was a natural tendency to navigate to those dashboards through the organization that owned the events. 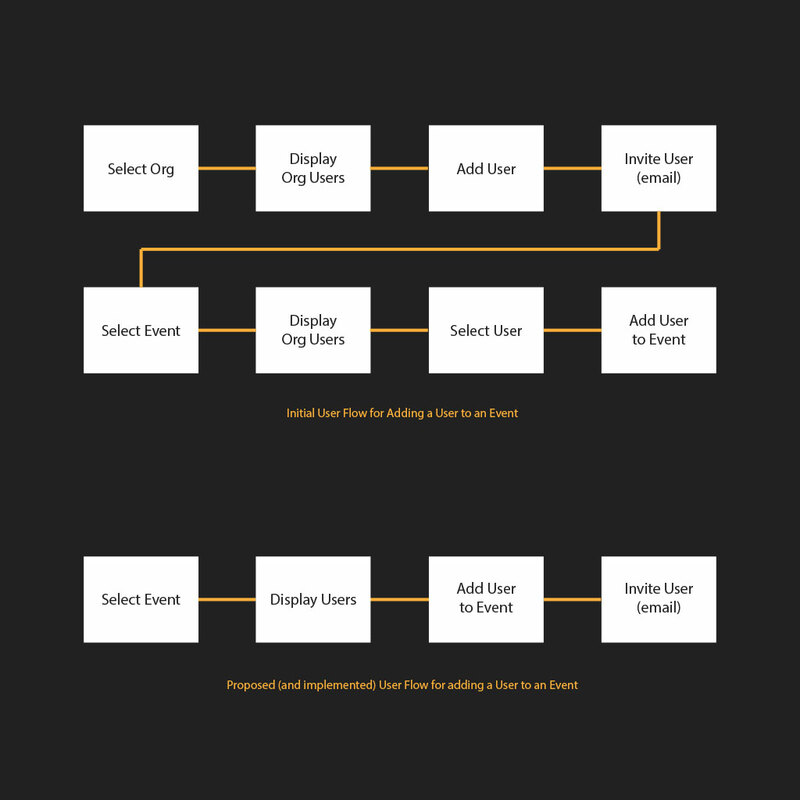 Assuming the typical use case, I presented an alternative direction that allowed the focus of the application to remain on events and dashboards. 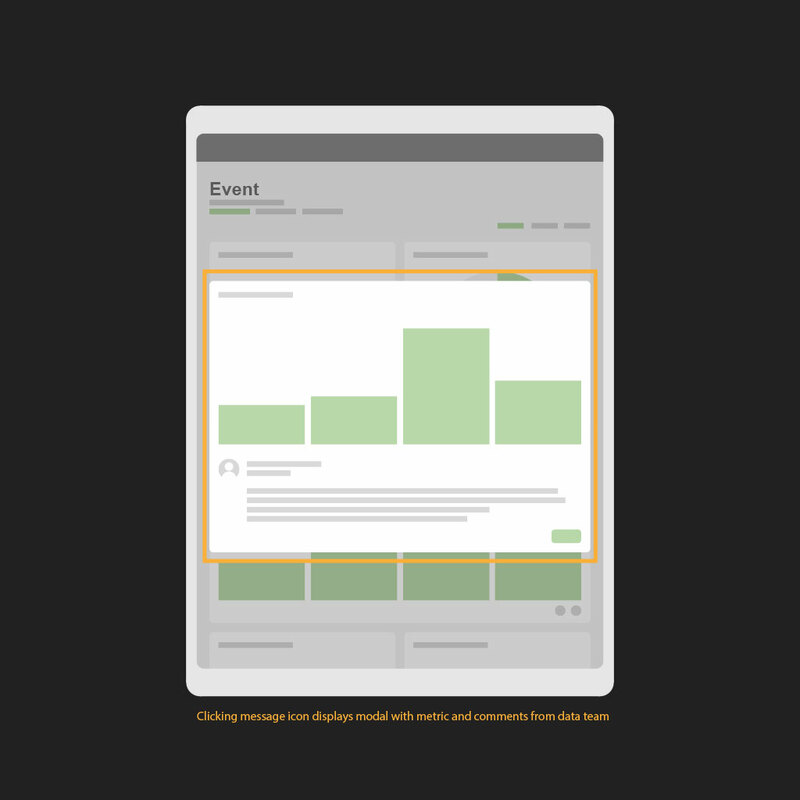 This reduced a large number of steps (and screens) required to accomplish tasks such as giving a user access to an event's dashboard. One of the key differentiators between Quant and applications like Tableau or Power BI, is that the support of a "data team" is incorporated directly into the application. 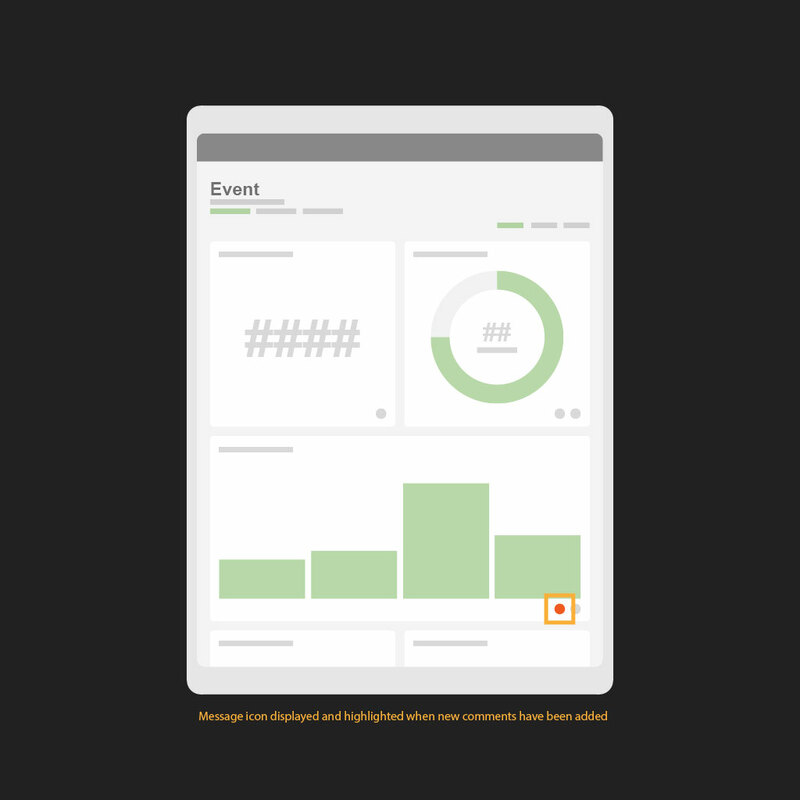 Through Quant's UI, a data team user can select any metric on an event's dashboard and add comments. 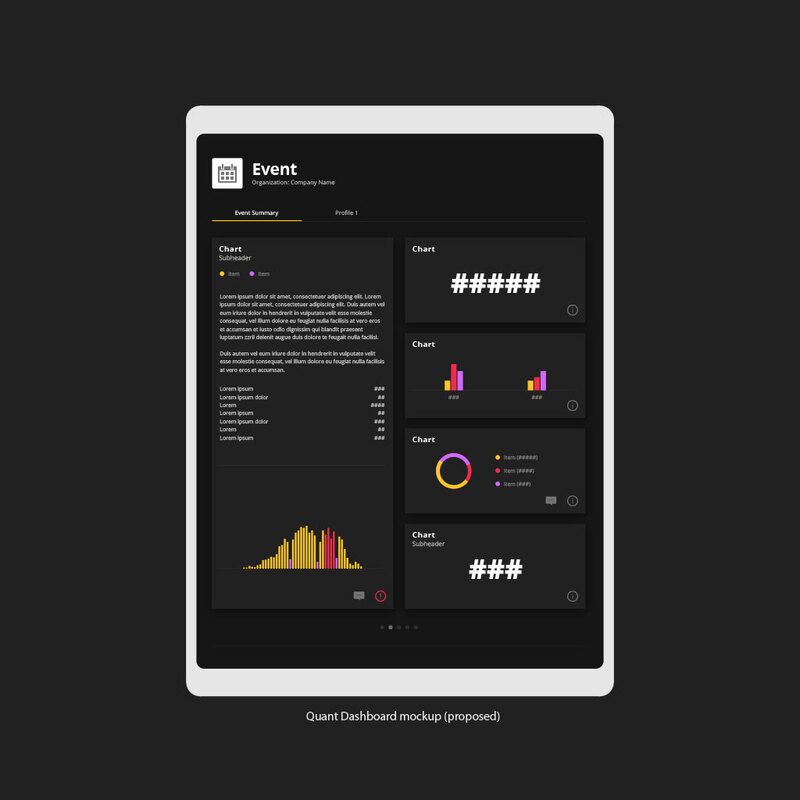 Once the comments have been added to the metric, all users who have access to the event's dashboard can then see those comments. This is one of my favorite features in Quant. It isn't a very flashy, but it gives Quant the potential to be more than just a data visualizer while integrating a human element into a field that is typically lacking human touch. Over the last year that I've worked on Quant, the Product Owner has changed three times, the Project Manager has changed three times and the overall vision of the application has changed three times. Despite the office politics, I have learned a lot of ways to optimize my design deliverables so that I can move quickly through the design process with constantly change requirements. Tangible is a style guide for designing UX and UI for web-based applications. I started Tangible in August 2017 after finding out that more applications and team members were being assigned to the team. Over the past year, Tangible has went from a single web-based document used by one team to fully supported on-line documentation, component libraries and UI kits used by development teams throughout the Freeman organization. I think that applications should adapt to meet accessibility standards and assistive technology (including shortcuts and structure) to give all users a pleasant experience. Using W3C's accessibility standards I'm trying to make a concerted effort toward implementing accessibility features/functionality into all applications I am responsible for. With Tangible, all accessibility requirements are built directly into styling and components to try to meet W3C's level AA standards at a minimum. 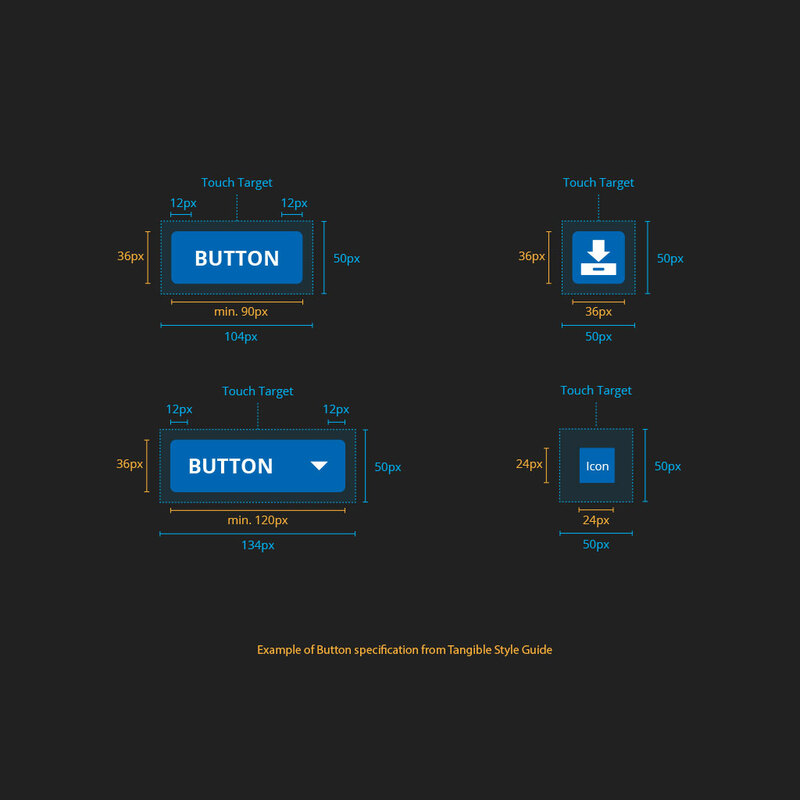 Before anything else, the design of an application is to be shaped by its intended purpose. This purpose must be clearly communicated to the user. The user's experience should not be dictated by technology alone. 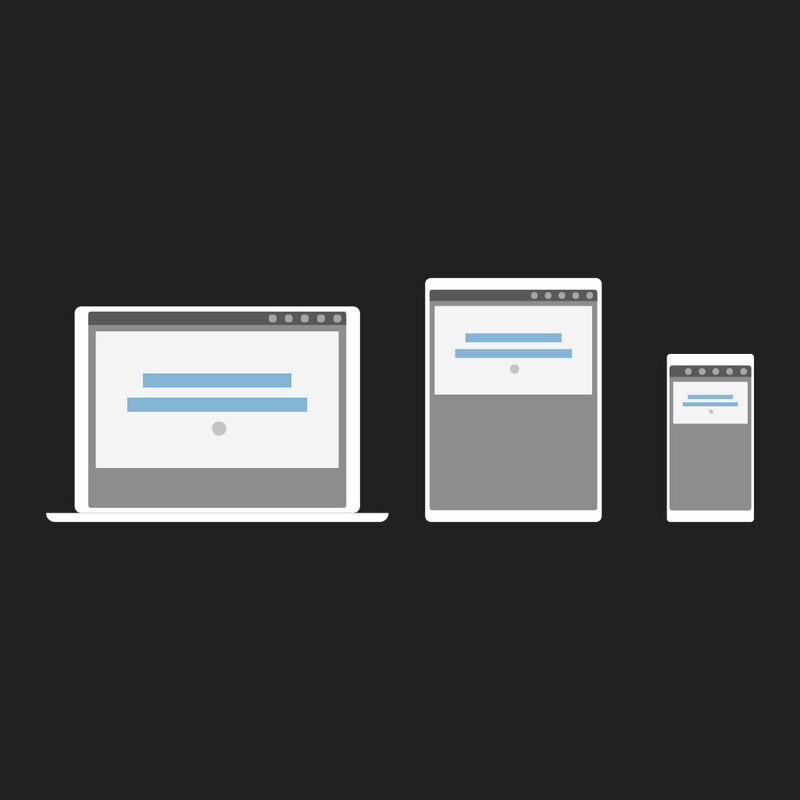 It is our responsibility to provide a quality experience regardless of the device or screen. Focus on intention. Strive for simplicity. A user can easily get overwhelmed and intimidated by an application that bombards them with features and options.